There is no information on the FutureNet website indicating who owns or runs the business. A Google search reveals multiple businesses using this address, indicating that FutureNet exists in the Marshall Islands in name only. The FutureNet domain was registered on the 25th of September 2014, but only lists FutureNet Inc. with the same Marshall Islands address as the owner. Albers last popped up on my radar as the owner and CEO of Falkito. Falkito was a failed MLM penny auction that launched in the shadow of Zeek Rewards, an $850 million Ponzi scheme. After lengthy delays, Falkito eventually launched only to flop. Today the business is no longer active. Whether Albers is involved in FutureNet as an affiliate or owner/management is unclear. Update 3rd April 2016 – Promotion for FutureNet appears to have ramped up recently, with affiliate marketing material naming Roman Ziemian and Stephan Morgenstern as owners of the company. Ziemian identifies himself as CEO and Founder of FutureNet on his Facebook profile. Both Ziemian and Morgenstern are based out of Poland. Prior to FutureNet, Ziemian and Morgenstern were involved in OneLine Online. 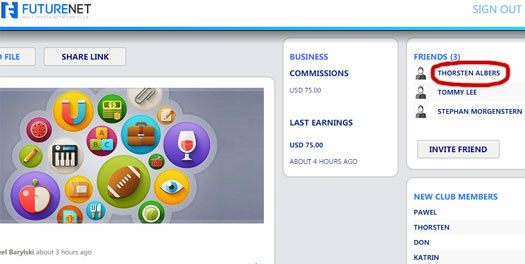 OneLine Online was a share-based Ponzi scheme launched in early 2014. Ziemian served as Chief Operations Officer and Morgenstern as an investor. It is assumed Ziemian and Morgenstern’s time at OneLine Online formed the inspiration behind FutureNet. Prior to Ponzi scamming Ziemian was an affiliate with LEO, a personal development based recruitment scheme. Read on for a full review of the FutureNet MLM business opportunity. No specifics about FutureNet’s product line are provided on the website. Movies, ebooks, tutorials, e-learning and games are all mentioned in the FutureNet product section, however if one clicks on any of these categories the company redirects to a magazine link. Visitors cannot view said magazine unless they hand over email contact details to FutureNet. The FutureNet compensation plan uses a unilevel and matrix compensation structure to pay commissions based on the recruitment of new affiliates. Residual commissions in FutureNet are paid out using a unilevel compensation structure. Matrix commissions in FutureNet use a 3×5 matrix compensation structure. A 3×5 matrix places an affiliate at the top of a 3×5 matrix, with three positions directly under them (level 1). Additional matrix positions are granted based on the commission payouts on levels three to five of a matrix. 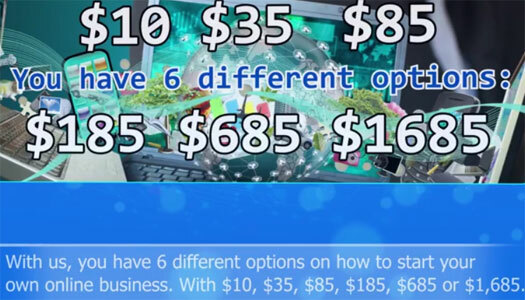 Once an affiliate has generated the required amount to purchase a new position on any of these levels, they are awarded a new matrix position at that particular level. Eg. Once $100 has been generated between levels 3 to 5 of a Tier 4 matrix, they receive a position in a new Tier 4 matrix. After this initial position has been created that all subsequent matrix commissions on levels 3 to 5 are paid to the affiliate as a commission. A FutureNet affiliate can earn a matching bonus on matrix earnings of their personally recruited affiliates. Affiliate membership with FutureNet costs between $35 to $1685. With no retail offering and commissions dependant on affiliates purchasing positions in a matrix, FutureNet fits the definition of a recruitment-driven pyramid scheme. The products listed on the FutureNet website are bundled with affiliate membership and are irrelevant to the compensation plan. Revenue is only generated and commissions paid out when affiliates purchase matrix positions. As with all pyramid schemes, once affiliate recruitment slows down the matrices will collectively begin to stall. Once enough matrices stall (they are all within a company wide matrix themselves), FutureNet will suffer an irreversible collapse. When that happens, any money trapped in the system is there for the admin’s taking. A total money game revolving around cloud storage! pyramid scheme yes, at the end of the day people want to make money, and its matrix mlm… no mater what as longes can make real money!!! lets focus on making money!! everybody need money…no matter how money is money..
i invest my money daily babsis in schemes and i really make profit. no mater what as longes can make real money!!! What a sad little scammer you must be. Ah, the old “law of the jungle” ponzi players rules, Eh ??? As long as you get yours, who cares about anyone else. Good luck living in THAT society. Healthy oaamet shows the majority of people that it is not possible to achieve such high yields of around 600% annually as offered by Futuranet and many similar companies. They all target the population of people with big financial problems or those who want to earn good money in a quick, easy way, and to secure lasting revenue. The desire for money in these people is greater than the sober mind and many people are being caught up in this deception. All other activities that they claim to be a source of income are relatively irrelevant because their main source is the registration of new people and the increase in contributions of already existing members. The fact is that the company does not have so much money on a given day to pay it to anyone in the amounts it promises to them, partly pay it out, it would not be suspicious, and there would be no panic against the loss of money, as long as the invoices are larger than the payments, there will be no problem And all this can be dragged for a while. I do not know where to get information about the business of this company, to the balance sheets, then I could see from the data how the business operates, I doubt that the company’s audited profit could be obtained, it would show part of the truth about the business of this company. I can read such data and I hope that they can crawl out of this or the afternoon honestly or not or promise more than they can and what is the source of high returns, or are only empty promises. If someone could get to the company’s balance sheet, or a business report, this would be good. So much, I think it’s right to find the truth and prevent people who do not have much money so lose what they could borrow to quickly enrich and then return this money. Greetings! 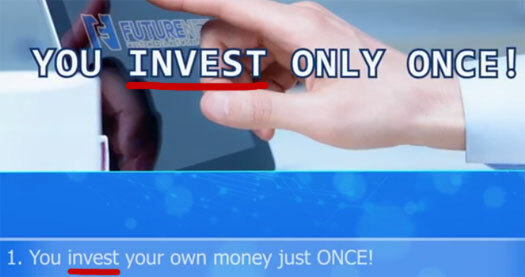 How many more ways will Futurenet think up to get people to deposit money and the top guys lap up all the cream? 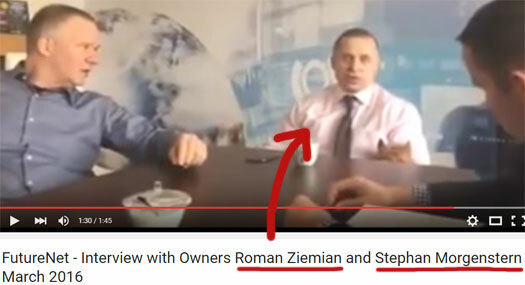 Roman was never the creator or the owner of One-Line Online project, he has only participated as a director. Roman’s work experience in this business helped to take into account the shortcomings of a particular network and contributed to the creation of its own really strong project with a competently built business model and the ability to help others to earn. Together with FutureNet users become familiar with modern technologies and built successful businesses or simply get an additional income. The review doesn’t state he was. really strong project with a competently built business model and the ability to help others to earn. Ponzi schemes only help those running them. Stop making excuses for scammers. Hugh-Paul Ward, FutureNet’s “global marketing director“, has been earning quite an unenviable reputation for himself. He lives in Newcastle, Northern Ireland, United Kingdom and literally all of the international money making schemes he has been involved in have been described as “pyramid scams” or “ponzi scams” by many scam investigators.